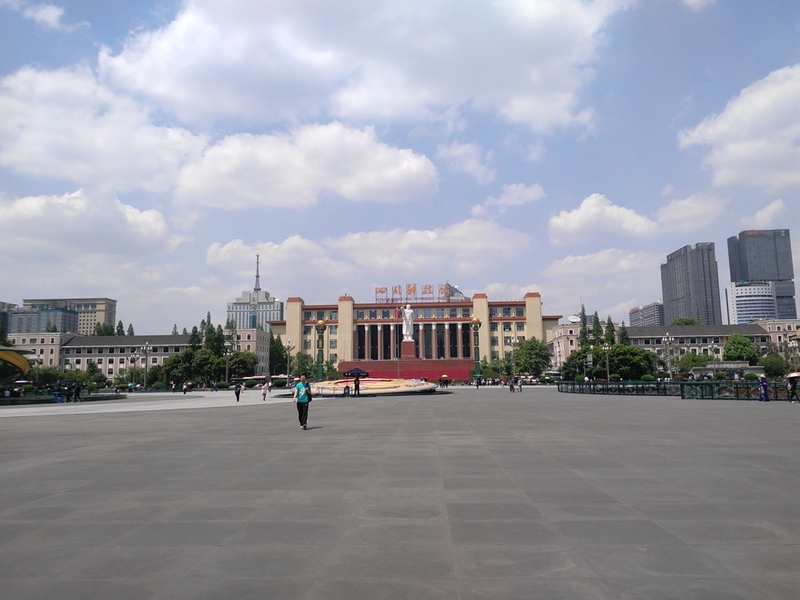 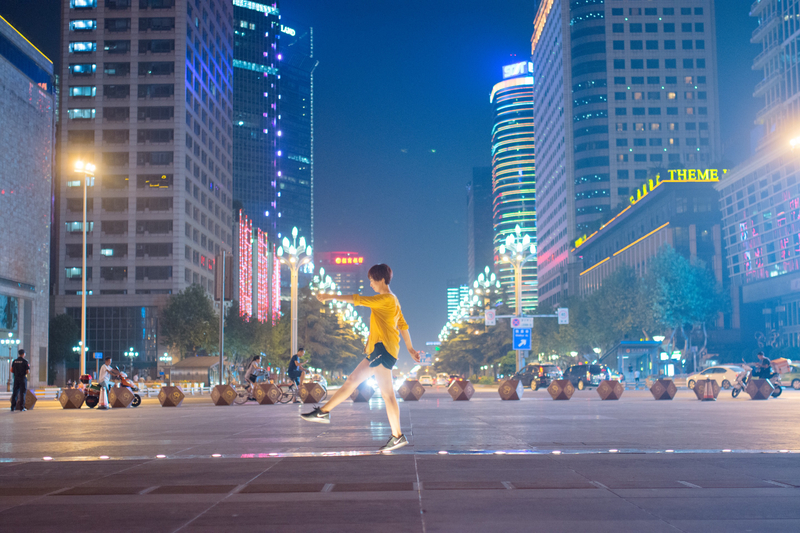 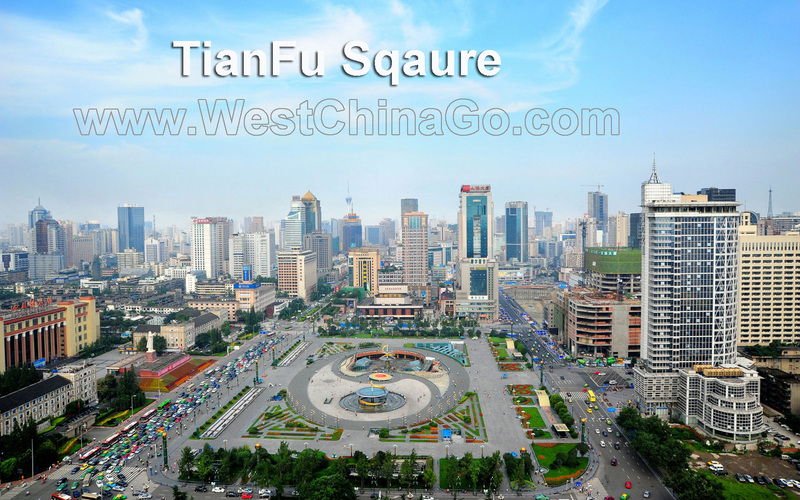 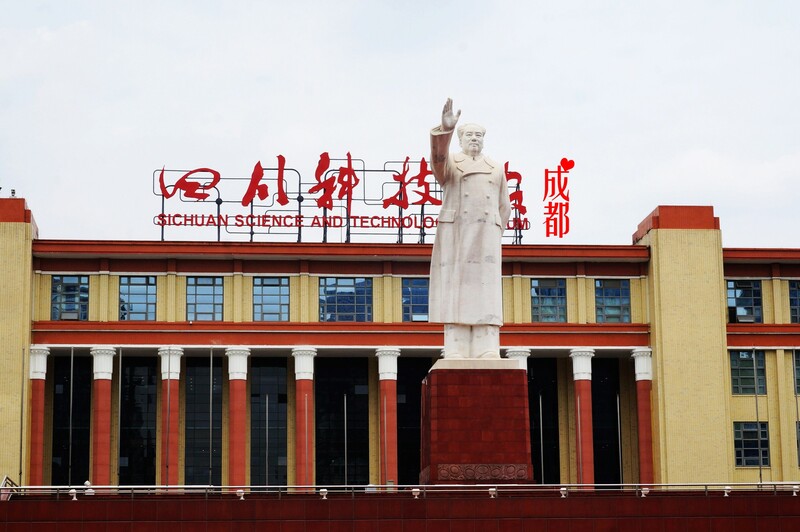 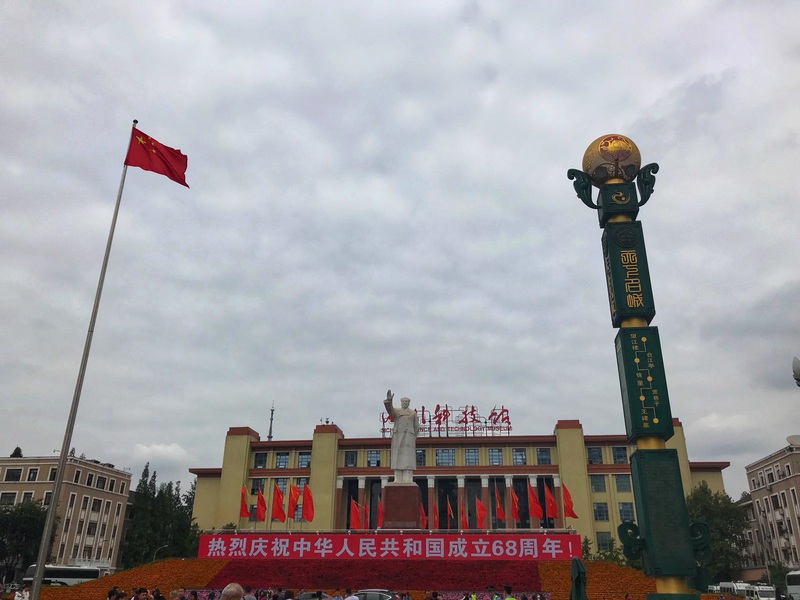 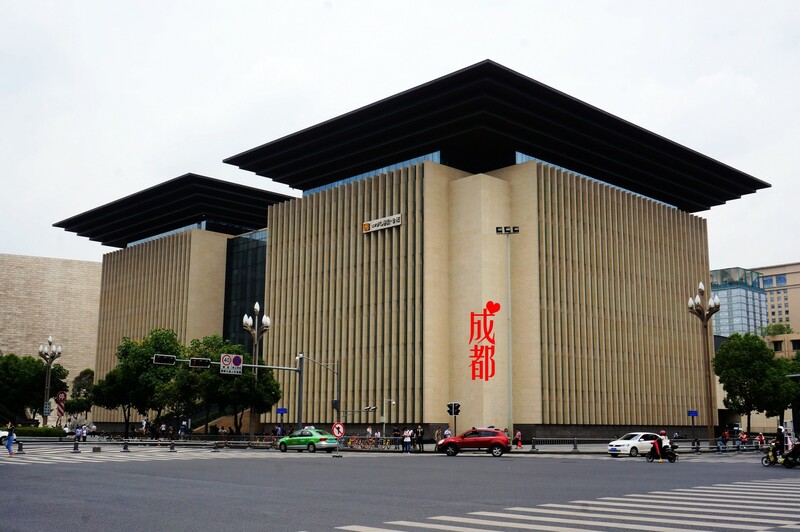 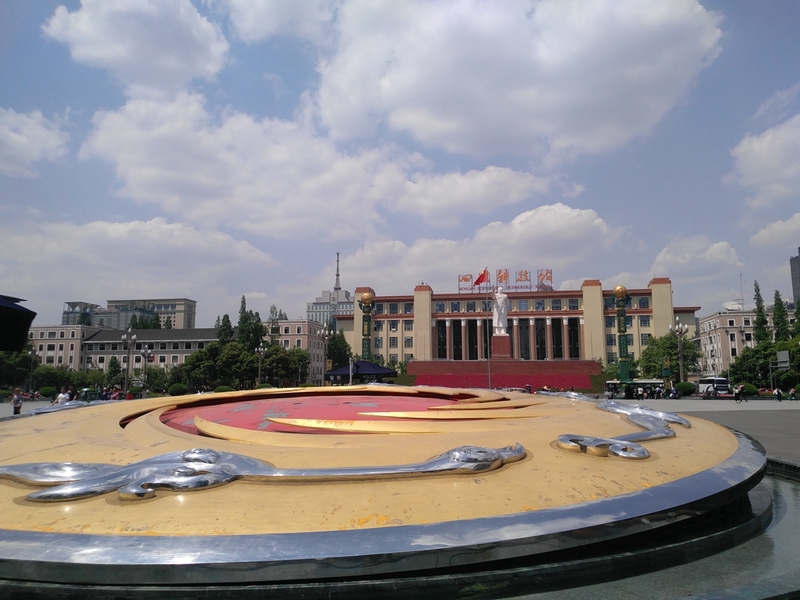 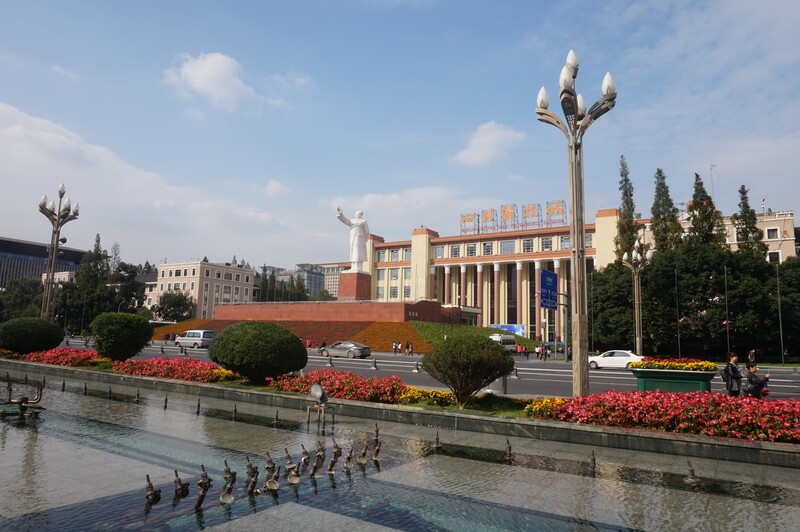 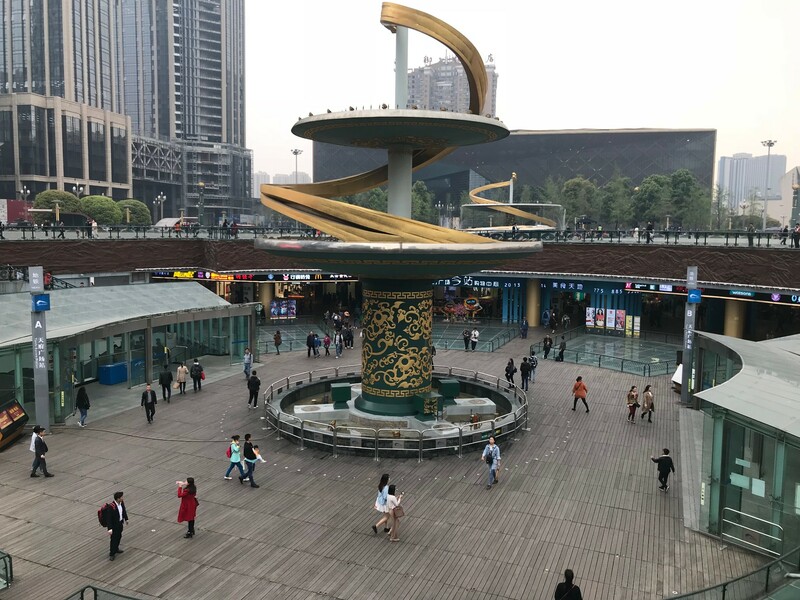 Chengdu tianfu sqaure locate at center in center of city, which is symbole of city,like Tiananmen square in BeiJing,This square, overlooked by an enormous Chairman Mao statue in the center of the city, has been spruced up. 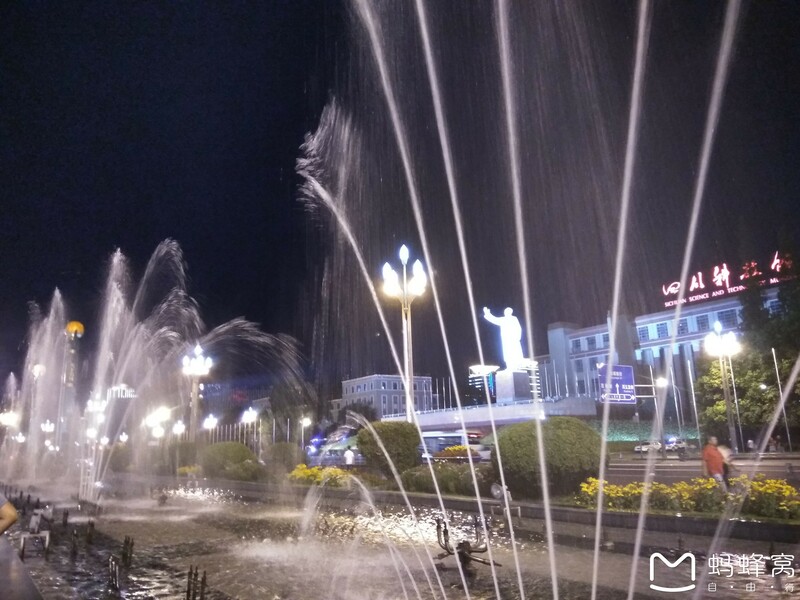 Every evening at dusk, as well as at noontime,an elaborate water show, synchronized to music, bursts out from the square’s fountains. 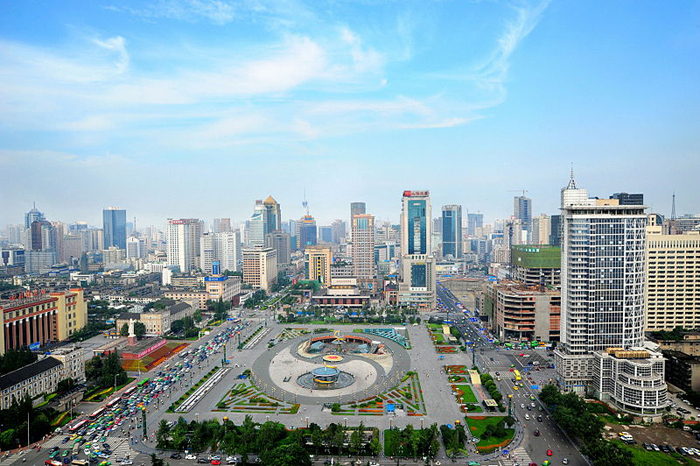 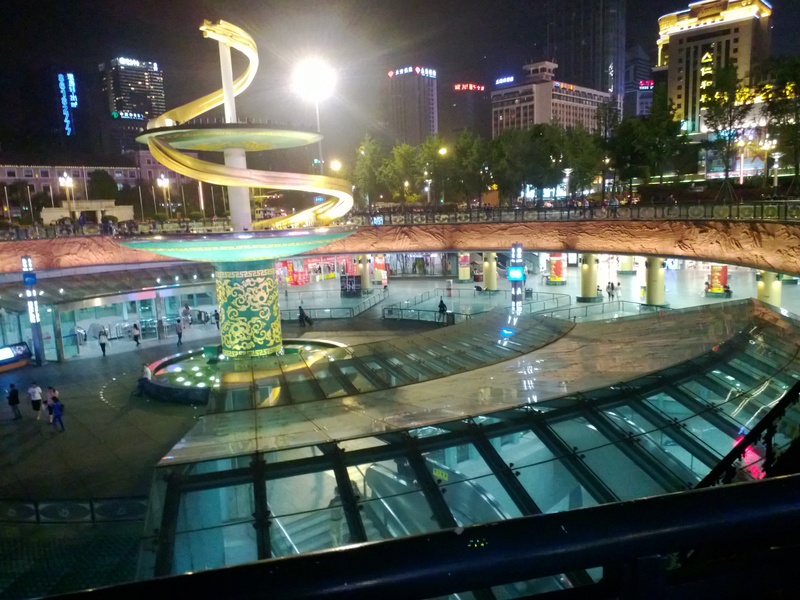 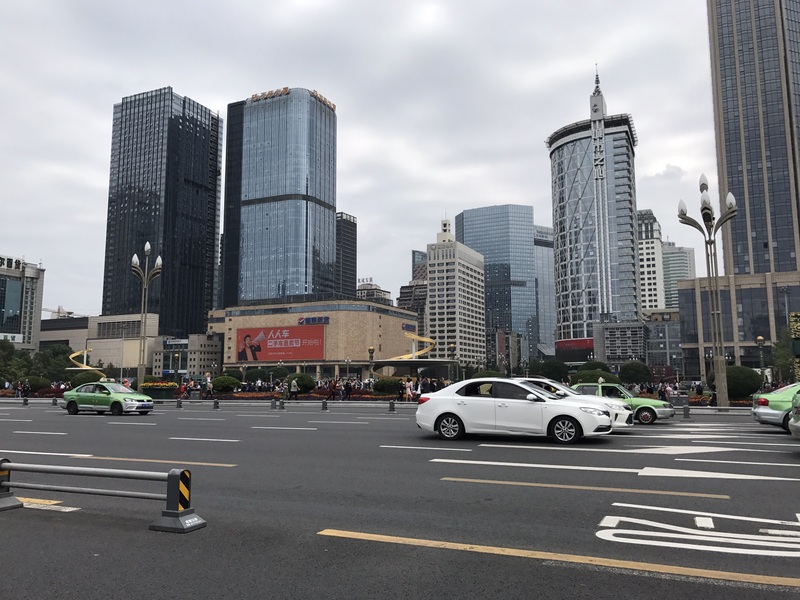 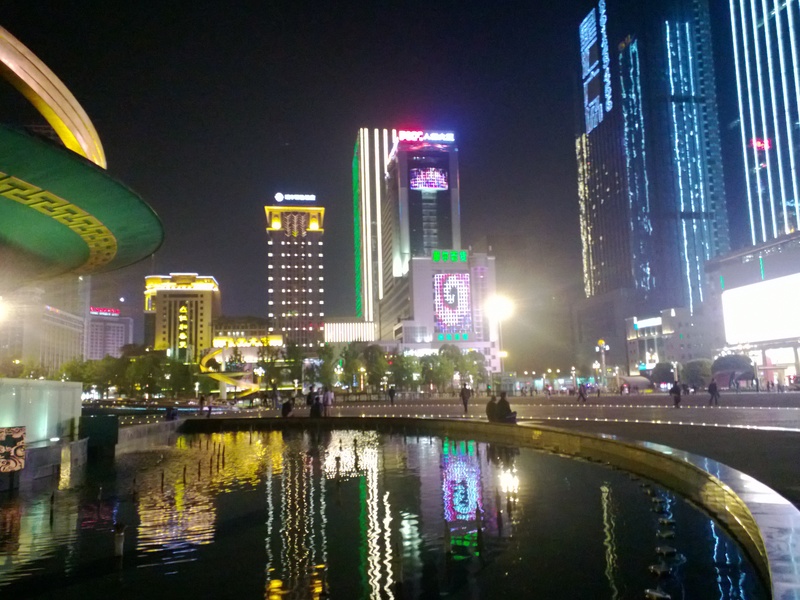 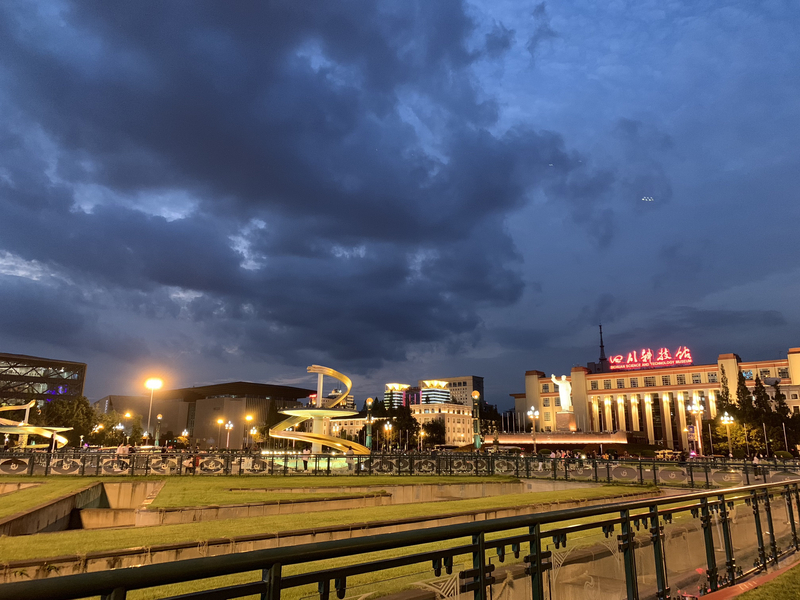 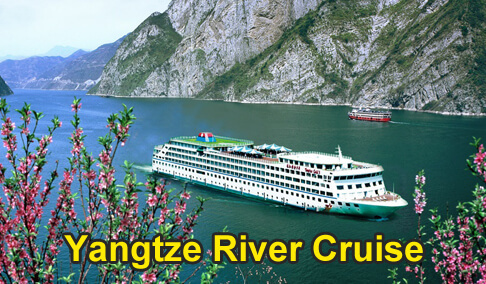 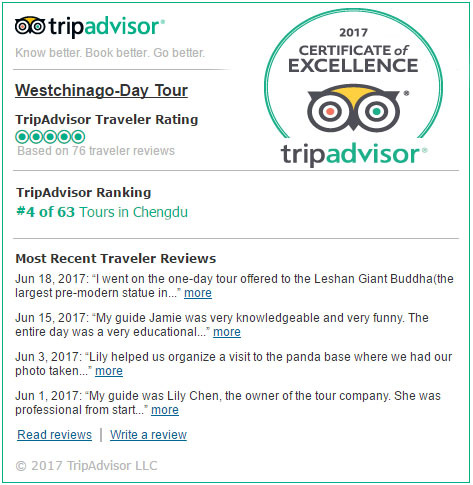 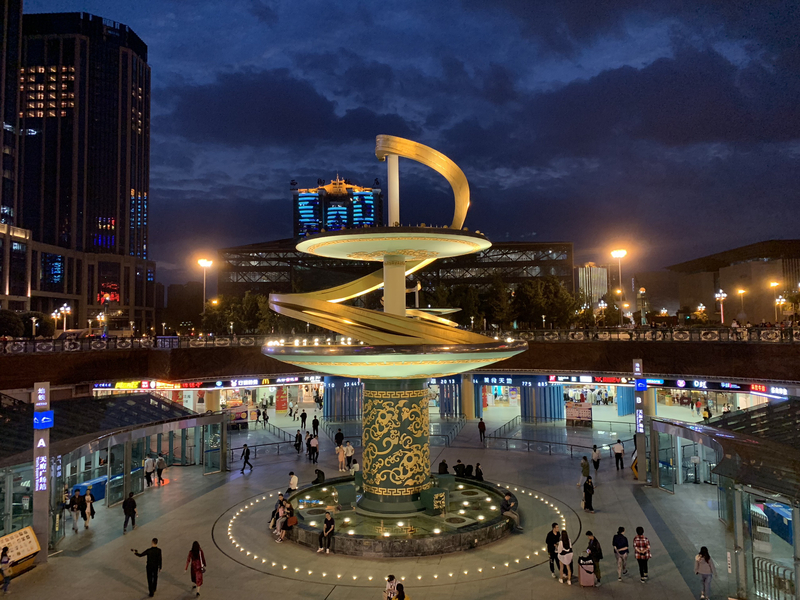 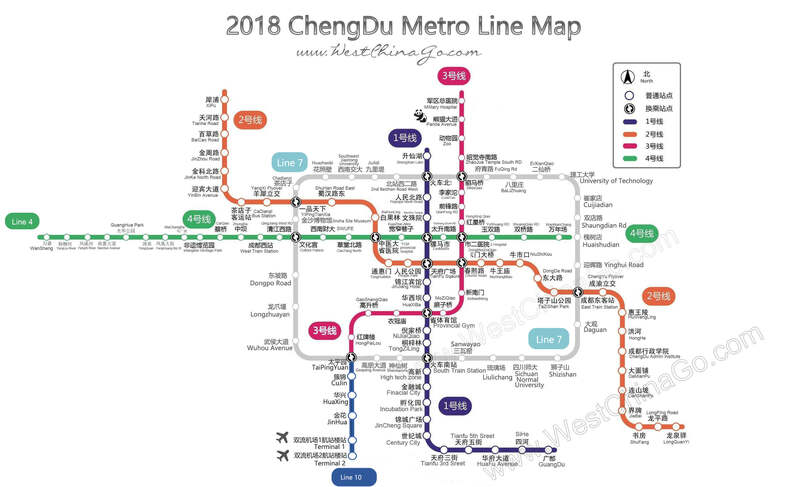 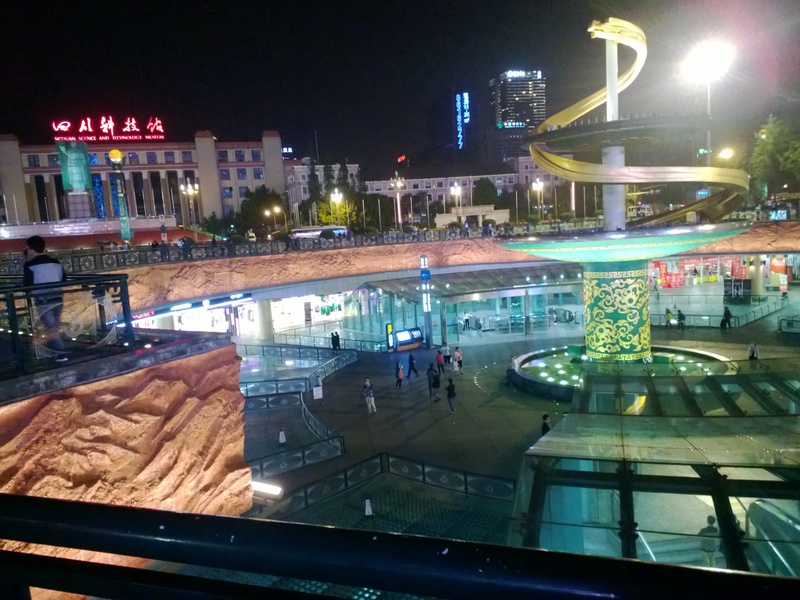 Below the square is the hub of Chengdu’s subway system.underground of square have shopping street and restarants..
Around the Chengdu TianFu Square.have art museum，shopping mall,science museum….